This workshop, co-presented by faculty and management governance leaders, presents ways we can work effectively with various employee groups, reviews the mandates of AB 1725, and helps us understand the definition and practice of participatory governance in the California Community Colleges. For those watching the live stream, feel free to ask any questions you have via email at ChancellorOffice@kccd.edu. Community College League of California President and Chief Executive Officer Dr. Larry Galizio is the former president of Clatsop Community College in Oregon. Previously, Dr. Galizio carried out the role of director of the speech and debate program and spent 16 years as a full­time faculty member, both at Portland Community College. He also served as director for strategic planning at the Oregon University System and is also a former three­term legislator in the Oregon State House. His legislative experience included chairing the ways and means education committee responsible for all of the pre­K­20 public education budgets. He was named the Oregon Community College Association’s Statewide Community College Advocate of the Year. He serves as the American Association of Community Colleges’ Task Force on the Higher Education Reauthorization Act. 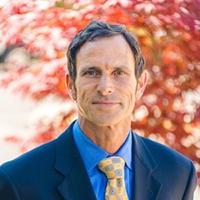 Dr. Galizio holds a an undergraduate degree from University of California, Berkeley; a master’s degree from San Francisco State University; and a PhD from Portland State University’s School of Urban and Public Affairs. Professor Julie Bruno currently serves as the president for the Academic Senate for California Community Colleges. Prior to assuming the presidency, Julie served on the ASCCC Executive Committee for six years as vice president, secretary, and area representative. During her time with the Academic Senate, she has chaired many ASCCC committees, including the Legislative and Advocacy Committee, Curriculum Committee, Accreditation Committee, and Operational Oversight Committee, as well as chairing and serving on numerous statewide task forces and work groups. In addition, Julie served as chair of the Intersegmental Committee of Academic Senates (ICAS) and the Intersegmental Curriculum Workgroup tasked with the implementation of Transfer Model Curriculum and Associate Degrees for Transfer as well as co-chair of the System Advisory Committee on Curriculum (SACC). She also served on the Board of Governors’ Task Force on Workforce, Job Creation and a Strong Economy. Julie is the past president of the Academic Senate Foundation for California Community Colleges. 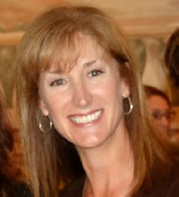 Prior to a career in academia, Julie was an office manager in the legal field for many years in San Francisco. She returned to college to obtain her Master’s Degree in Communication Studies at San Francisco State University and has been professor in Communication Studies at Sierra College since 2000. 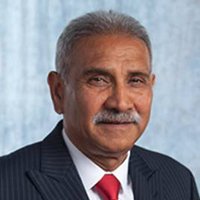 Pasadena City College Superintendent­President Dr. Rajen Vurdien’s community college leadership experience includes various roles. Previously, he served as president of Fullerton College, vice president for instruction at Saddleback College, and dean of Language Arts and Physical Education at Long Beach City College. He has also taught as an adjunct instructor of English as a Second Language at Cerritos College and Cypress College. A global leader, Dr. Vurdien worked for the United Nations Development Program, teaching English in China and running UN language programs. Dr. Vurdien holds a BA and MA from the University of Upper Brittany, Rennes, France; an M.Ed. and Ph.D. in Psychological Studies from Temple University; and an MBA from Long Island University. He also earned a Post Graduate Certificate in Education from the Mauritius Institute of Education. Dr. Vurdien has completed numerous workshops on leadership and administration including Harvard University’s Management Development Program and Seminar for Experienced Presidents. He currently serves on the executive board of the California State University Fullerton Doctor in Education Leadership Program.